The ethnic aspect which is usually defined as a cause of conflict between Hutus and Tutsis – either historically fundamented or discursively constructed, and instrumentalized by political leaders – has deep roots with which society has to deal. To initiate this process, Gacaca Courts – local courts based on communitarian values – were recovered from previous traditions by the post-genocide government; focusing not necessarily on punishment, but first and foremost on forgiveness and reconciliation. This process is important due to Rwanda’s reconstruction of economic and, more importantly, social structures. Nonetheless, a contraposition between peace and justice is constantly made; mostly by critics who do not consider Gacaca’s objectives as actual justice, or as effective enough in facilitating the building of peace. Bearing in mind its subjectivity, the concept of justice will be referred to throughout as an endeavour to secure accountability and punishment – either to remove criminals from society or to protect society from criminals – only for the sake of simplicity and correspondence with the critics referred to below. As communitarian and traditional courts, the Gacacas are said to be the best way found by the Rwanda to deal autonomously with their problems, through their own methods. The courts were introduced as a combination of some sort of truth commissions (1) and other programs aimed at promoting forgiveness and reconciliation; essential for pursuing justice and laying the basis for the reconstruction of the Rwandan society. The proceedings are focused on social-healing workshops (2) also organized by the Government, with special attention given to risk groups, such as children orphaned by genocide. Justice and the construction of memory should serve for preventing and dismantling mechanisms that allow violence, thereby ensuring the tragedy does not repeat itself (3). According to a 1997 report by the UN Sub-Commission on the Promotion and the Protection of Human Rights, the number of imprisoned people suspected of grave human rights violation was so high that it was almost impossible to try them fairly, within a reasonable period of time. In that sense, the Rwandan case is exemplary: more than 90,000 persons were imprisoned then – the majority of them charged with crimes of genocide – and the judiciary could not deal with the situation in a sufficiently effective manner (4). In that sense, establishing the Gacaca Courts’ jurisdiction – in 2001, for crimes against humanity committed between October 1990 and December 1994 – contributed not only to efforts at reconciliation and justice in a traditional and local manner (5), but also for more efficiency. The Gacacas’ goals are to tell the truth about the genocide, actively engaging the local population in its hearings; to speed up the genocide trials, increasing the judicial system’s institutional capacities; to eliminate the culture of impunity; to promote reconciliation and unity between the Rwandan people; and to demonstrate how Rwanda can deal with its own problems through a judiciary system based upon its own traditions, despite adaptations made to fit some international standards. The model implemented nowadays maintains the importance of the general population’s role, of the decentralization of justice, of the possibility of commutation of the prison sentences to public services and, fundamentally, of reconciliation. Differing from the original tradition, the current model is supposed to apply criminal law and can impose large prison sentences. In 1996 there were established four criminalization categories; the first corresponding to organizing and supervising crimes related to genocide and the last corresponding to crimes against property. In this framework, for instance, it is estimated that sixty years would be necessary to try all the suspects in a classical system. The Gacacas, with different instances organized in a hierarchical logic, (6) have been accelerating the process considerably, bringing cases to a local level where the community is actively engaged in establishing the truth. The previous framework for the Gacacas was based upon certain common values – in norms of reciprocity and mutual trust – which the genocide had fatally wounded. The different phases of the process, in the current methodology, starts with an elaboration of lists of people killed among the region’s inhabitants, of victims and damages, and also a list of suspects. Secondly, individual case files are prepared for each suspect – and that is how their crimes are organized in categories and their cases are sent to the respective Gacaca Court. Finally, the trials and their verdicts – and possibly their punishment – take place (7). The proceedings, with incentives to confess, facilitate the process in regard to the investigation and evidence gathering, thereby contributing to a reduction in the number of trials in the classical judiciary system. The confessions – in these cases made to the community – guarantee a reduction of sentences (8). However, this practice can be questionable for several reasons; for example, when it establishes a certain power relation between equal citizens – the ones forgiving and the ones hoping to be forgiven. The truth-telling through confession is made in a narrative mode, with factual details. That is also when, according to psychological studies, the link between truth and reconciliation, established as a truism, should be questioned. There are very few studies on the psychological impact that truth-telling has on war victims and on its impact for post-war peace building. Karen Bornéus, for instance, calculates that the Rwandan survivors that have acted as witnessed in the Gacacas have a 20% higher risk of suffering from depression, and 40% higher risk of having Post-Traumatic Stress Disorder (PTSD). She argues that it has to do with the short and intensive trauma exposure – which can be re-traumatizing – during the Gacaca sessions. Therefore, the healing objective should not be linked with the truth-telling process in some contexts (9). Another important issue is the risk of victimization, which turns the experience of being a victim into one of collective and mythologized victimhood, as argued by Martina Fischer; who also notes that victimization seems to play a particular role in ethno-political contexts (10). It also risks providing a way of denying and arguing for the relativization of crimes. Furthermore, it has been indicated that legal prosecution itself may exacerbate the discourses of conflict about who is the victim and who is the perpetrator. Therefore, accountability does not automatically pave the way to reconciliation, conflict transformation or a stable peace (11). On the other hand, it is considered essential as a way of demonstrating a commitment to justice. Reparations are demanded and the perpetrators are punished publicly; almost as something therapeutic for the victims and an example for the society, so impunity can be overcome. With respect to the Gacaca system, critics consider that accountability and punishment are not sufficiently – or even efficiently – provided, at least not in the sense mentioned. The first pre-trials, for instance – evidence gathering, testimonies and first hearings – started in 1996, with 9,721 cases until 2003, none complete until 2004, and still 80,000 suspects detained waiting their own trials (12). According to Joseph Sebarenzi, a former member of the Rwandan parliament, the Gacacasshould deal only with the reconciliation process, leaving the judicial proceedings to the standard courts so justice can be achieved through international parameters (13), which was already proven impossible. In 2003, president Kagame announced a directive to liberate all prisoners who would confess their crimes and had served at least half of their sentences under the Gacaca law – though it does not include those sentenced for crimes of genocide. Those who were freed would follow programs of re-education in what were called solidaritycamps (14). The debate about the importance of justice or the preference for reconciliation is still ongoing. The conflict in Rwanda caused the death of around 850,000 people in only a few weeks (15). In its aftermath, accountability and punishment were, above all, psychological needs, but also a structural problem – how is it possible to rebuild a country with thousands of people incarcerated and removed from the process? The crimes were not perpetrated only by people connected to the Hutu government, but also by ordinary citizens mobilized by a violent nationalist discourse, propagated mostly by popular media, such as the radio, ‘which facilitated the execution of the genocide plan’ (16). Reconciliation here is maximized in a sense in which it “occurs when the perpetrators recognize their responsibility, repent and are then forgiven by their victims”, as noted by Desmond Tutu, head of the Truth and Reconciliation Commission in South Africa (17). The Gacacas’ proceedings also have a truth commission role, with the goal of healing both individuals and the nation, with public testimonies given by perpetrators and victims. Exposing the truth is compared to religious confessions; seeking absolution and forgiveness, promoting a balance between too much and insufficient memory in a society’s reconciliation (18). Rwandan post-genocide reconstruction is considered an example in many aspects; especially the challenge of inclusiveness of the whole society in the process through justice, recognition and, mostly, reconciliation. As for the State structure, despite criticism regarding the lack of democratic institutions and power-sharing (19), it is important to note the progress and development that the country is experiencing (20) (21). The model seems to work, so far, despite reservations as to its real consideration for justice. It is worth remembering that this is not a clearly established concept, or part of an absolute framework; it is a concept formed by subjectivity. The suggestion put forward by intellectuals and politicians like Sebarenzi about the establishment of democraticinstitutions can be the beginning for a solution; though it has to take into account fundamental issues, such as deep-seated traumas whose roots lie in events prior to the genocide. The current concept of justice employed with the Gacacas is based on reconciliation and on the role of the community, focused primarily on reintegration for the reconstruction of a fractured society (22). However, for its critics, it lacks accountability in a more punitive aspect. The question to be answered is, therefore, what is the appropriate balance between reconciliation, accountability and state or peace-building in Rwanda’s post-genocide recovery; not forgetting the impact it should have on the very people navigating it. Moara Crivelente is a political scientist currently studying the Communication of International Armed and Social Conflicts. Her main academic interests are peace studies, peace communication, community-based conflict transformation and local resistance. 1) Truth commissions are established to investigate evidences and testimonies, with the aim of finding a negotiated common truth, building a historic memory and treating the suffering caused by the conflict. 2) Programs usually mediated by psychologists and local leaders, following the re-education of victims and perpetrators, aiming at managing traumas for the society’s reconstruction. 3) Beristain, ‘El papel de la Memoria Colectiva’. 4) UN Sub-Commission on the Promotion and the Protection of Human Rights, Question of the Impunity of Perpetrators of Human Rights Violations (Civil and Political). (New York: UN, 26 June 1997). 5) In which elders used to hold meetings when necessary, to “put sanctions to the violation of rules shared by the community, with the sole goal of reconciliation”. See: Vandeginste and Reyntjiens, ‘Rwanda: An Atypical Transition’. 6) Local, regional or national, guaranteeing the concentration of the worst crimes in the highest levels and the possibility of other suspects to appeal, in a higher instance. 7) Vandeginste and Reyntjiens, ‘Rwanda: An Atypical Transition’. 9) Karen Bornéus, ‘The Trauma of Truth-Telling: Effects of Witnessing in the Rwandan Gacaca Courts on Psychological Health’, in Journal of Conflict Resolution, 54(3) (Bilbao: Sage Publications, 2010), 408-437. 10) Martina Fischer, ‘Transitional Justice and Reconciliation: Theory and Practice’, inAdvancing Conflict Transformation: The Berghof Handbook II, eds. B. Austin et al. (Opladen/Framington Hills: Barbara Budrich Publishers, 2011), 405-430. 12) Vandeginste and Reyntjiens, ‘Rwanda: An Atypical Transition’. 13) Sebarenzi, interviewed by Christiane Ammanpour, 2009. 14) Vandeginste and Reyntjiens, ‘Rwanda: An Atypical Transition’. 15) Goldstone, For Humanity Reflections, 105. The numbers vary considerably, mostly for the difficulty of access to credible information. 16) Prendergast, ‘Applying Concepts to cases’, 172. 17) Martha Minow, Between Vengeance and Forgiveness: Facing History after Genocide and Mass Violence. (Boston: Beacon Press Books, 1998), 61. 19) Govier, Taking Wrongs Seriously, 264. It is said that only some moderate hutus are accepted in the Government structure, which, despite that, implements policies for the elimination of ethnic terms and of the notion of group differentiations. 20) Ammanpour, The Story of Post-Genocide Rwanda. The Rwandan GDP rose from 7,3% in 2003 to 11,2% in 2008, and the per capita gains will be four times higher until 2020. The country is considered the growth engine of its region. 21) Philip Gourevitch, interviewed by Christianne Amanpour, in The Story of Post-Genocide Rwanda and its Economic Success, (New York: CNN, 18 November 2009). It includes scholarship programs to hutus. This process and these policies were unprecedented and contribute to the efforts of mentality change. 22) Despite being dominated, for some, by the winner’s justice, which seems obvious taking into account that the Government established by the RPF is, indeed, based on a victory against the violence supported by the former Government. Amanpour, Christiane. The Story of Post-Genocide Rwanda and its Economic Success. New York: CNN, November 18, 2009. Beristain, Carlos Martín. ‘El Papel de la Memoria Colectiva en la Reconstrucción de Sociedades Fracturadas por la Violencia.’ In Guerra y Desarrollo: La Re-construcción Post-conflicto, edited by UNESCO. Bilbao: UNESCO ETXEA, 2002. Bornéus, Karen. 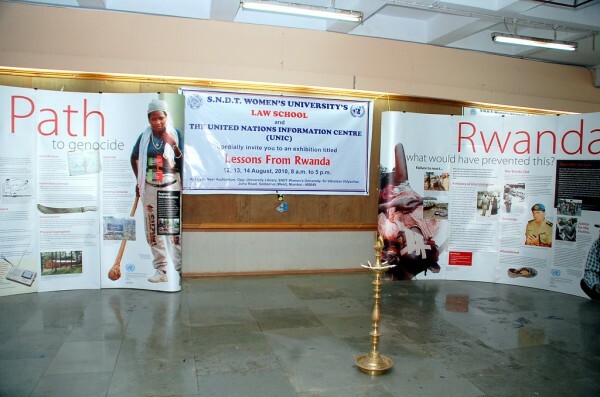 ‘The Trauma of Truth-Telling: Effects of Witnessing in the Rwandan Gacaca Courts on Psychological Health.’ in Journal of Conflict Resolution, 54(3) (Bilbao: Sage Publications, 2010), 408-437. Fischer, Martina. ‘Transitional Justice and Reconciliation: Theory and Practice.’ InAdvancing Conflict Transformation: The Berghof Handbook II, eds. B. Austin et al. (Opladen/Framington Hills: Barbara Budrich Publishers, 2011), 405-430. Galtung, Johan. Peace by Peaceful Means. Oslo: PRIO, 1996. Goldstone, Richard J. For Humanity Reflections of a War Crimes Investigator. New Haven: Yale University Press, 2000. Gourevitch, Philip. Interviewed by Christianne Amanpour. The Story of Post-Genocide Rwanda and its Economic Success. New York: CNN, 18 November 2009. Govier, Trudy. Taking Wrongs Seriously: Acknowledgement, Reconciliation and the Politics of Sustainable Peace. New York: Humanity Books, 2006. Kelman, Herbert. ‘Transforming the Relationship Between Former Enemies: A Social-Psychological Analysis.’ In After the Peace. Resistance & Reconciliation, edited by Robert Rothstein, 193-221. Boulder: Lynne Rienner, 1999. Lederach, John Paul. Building Peace: Sustainable Reconciliation in Divided Societies. Washington: United States Institute of Peace Press, 2002. Mamdani, Mahmood. ‘When Victims Become Killers: Colonialism, Nativism, and the Genocide in Rwanda.’ In Violence in War and Peace: An Anthropology, edited by Philippe Bourgois and Nancy Scheper-Hughes, 468-474. Oxford: Blackwell Publishing, 2004. Minow, Martha. Between Vengeance and Forgiveness: Facing History after Genocide and Mass Violence. Boston: Beacon Press Books, 1998. National Service of Gacaca Jurisdictions. Sentences applicable in the Gacaca Courts.Viewed 18 May 2010. ___, The competence of the Gacaca Court. Viewed 18 May 2010. ___, The objectives of the Gacaca Courts. Viewed 18 May 2010. In International Security, vol.22 (2), 1997, 54-89. Prendergast, John. ‘Applying Concepts to Cases: Four African Case Studies.’ In Building Peace: Sustainable Reconciliation in Divided Societies, edited by John Paul Lederach. Washington: United States Institute of Peace Press, 2002, 153-180. Sebarenzi, Joseph. Interview with Christianne Amanpour, in The Story of Post-Genocide Rwanda and its Economic Success. New York: CNN 18 November 2009. UN Sub-Commission on the Promotion and the Protection of Human Rights. Question of the Impunity of Perpetrators of Human Rights Violations (Civil and Political). New York: UN, 26 June 1997. Vandeginste, Stef; and Reyntjiens, Filip. ‘Rwanda: An Atypical Transition.’ In Roads to Reconciliation, edited by Elin Skaar et al. Oxford: Lexington Books, 2005, 101-127. Verdeja, Ernesto. Unchopping a Tree: Reconciliation in the Aftermath of Political Violence. Philadelphia: Temple University Press, 2009. Whittaker, David J. Conflict and Reconciliation in the Contemporary World.